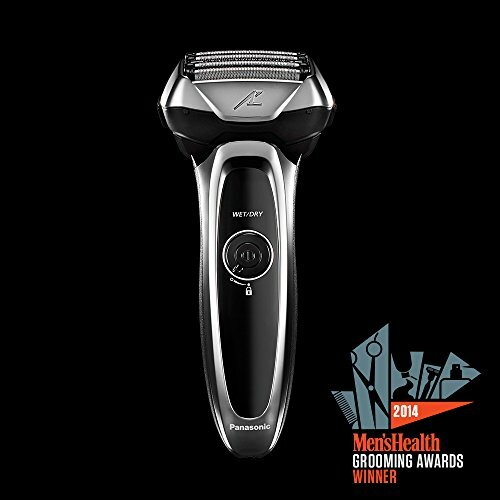 The Panasonic ES-LV65-S is a top performer in terms of providing close and comfortable shaves. It can easily outperform whatever mid-range electric shavers you are using now. The ES-LV65-S is the next generation model of the Panasonic Arc4 ES-LA93-K, which till recently was a favorite among various users. If you’re looking to buy something that not only provides you value for money but also delivers a good, reputable, and extremely reliable product, then this new Braun Series 7 7865cc will suit all your needs. Introduced in 2016 this particular model is extremely popular. We’ll be discussing its features especially the ones that make it a best buy in 2019. Let's take a peak at the highlights you should know about before purchasing this Panasonic arc 5 shaver. 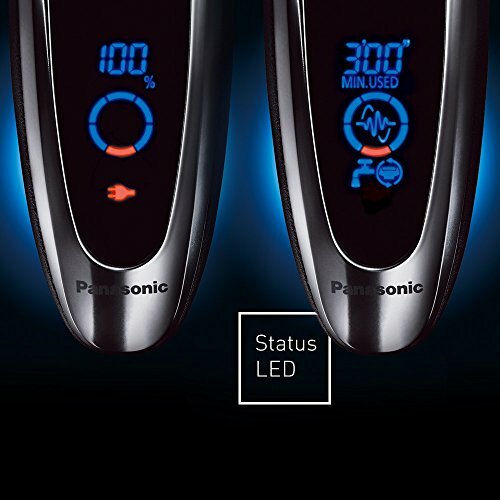 Part of Panasonic’s Arc 5 family of shavers, the ES-LV65 exhibits all the defining characteristics of this line. 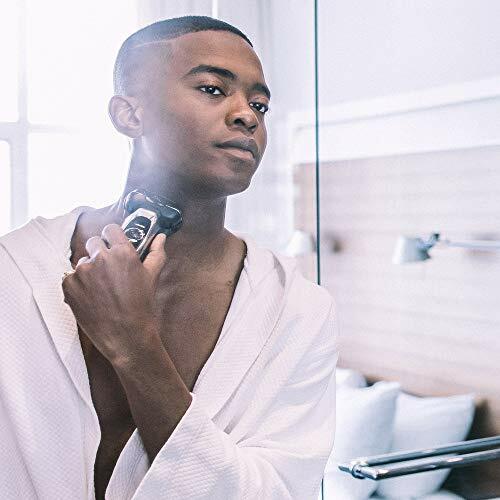 The idea behind having 5 blades is to reduce the time of a single shave and have especially designed cutters to tackle short, long and flat hairs. 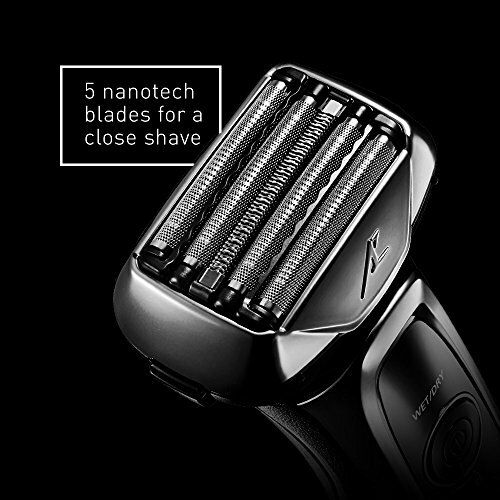 The 5 blades are very precise, ultra-sharp, hypoallergenic nanotech blades set at 30 degrees take care of all the heavy lifting. A linear motor that delivers 14,000 cuts per minute and with its 5 blades you get 70,000 cross-cutting actions per minute. If you have a tough beard and you need to cut if fast, well nothing will work better than this electric razor. The outer two finishing foils are responsible for cutting short and those hairs which are very close to the skin. The other two reversed tapered foils also called as the Lift Tech foils, lift and cut those hairs which grow parallel to the skin. One slit blade, or the middle trimmer is especially designed to capture and cut longer hairs. In the ES-LV65-S the inner blades correspond to the reverse tapered foils whereas the other 3 blades are integrated in the foil assembly itself. The ES-LV65 model comes with a feature that is available mostly on high end models from Panasonic. Is comes with Active Shaving Sensor that detects facial hair density. It automatically increases power when it detects dense areas and decreases power for areas with less facial hair. The system prevents unnecessary irritation and heat-build up on the foil. You can use this technology or you an entirely disable it and get the full power of the device for the entire shave. Enabled with a multi-flex pivoting head it is very easy to cater to those sensitive contours of your face like the chin or neck area easily. The shaving head of ES-LV65 will effortlessly move around your face, and minimize any sort of redness or irritation. The pop-up trimmer will be handy when it comes to trim those sideburns or moustache. Whatever you like, wet or dry, the ES-LV65 allows you to shave with cream and even without cream. Indication of battery charge levels, cleaning and replacement reminders. I wanted to give you a little bit more information about the Panasonic ESLV95-S which is one step above the LV65. The main differences is that the 95 model comes with a cleaning station. Outside of that they are identical. Now the model just below the LV65 is the Panasonic ES-LV81-K and the only difference there is the 81 does not have a pivoting head. Capable of delivering fantastic shaves every time you use. This razor gives you really close and clean shaves giving you that perfect look. Its 360 degrees pivoting head moves freely while you shave. Its full circular motion reaches the difficult parts easily. Just because of its 5 blade system, the head of the shaver becomes a bit big, it will take a few trials before you get used to it. Advantage of this 5-blade system is that it definitely shaves quicker than other 3-blade shavers. Compared to other models from Panasonic the ES-LV65-S has a really nice pop-up trimmer. Despite the large surface of the 5 blade shaving system, its head is actually not that tall and the trimmer sits pretty close to the top. Apart from that if you remove the foil frame and 2 inner blades, you get a perfect set up with the trimmer not being obscured at all. Some people would prefer the clean and charge station with this unit. But a cleaning station definitely adds to the cost of the entire unit. Hence given the budget this razor is a stand out product with its features. Its sonic cleaning mode makes the blades vibrate at 17,000 CPM, hence dislodges any traces of dirt or gunk. Being an award winning foil razor, closeness is something where this razor shines above all. If you are among those who shave once in 2 or 3 days, then this is the best razor you can have. Its 5-blade system is really efficient in taking care of multi-day beards. 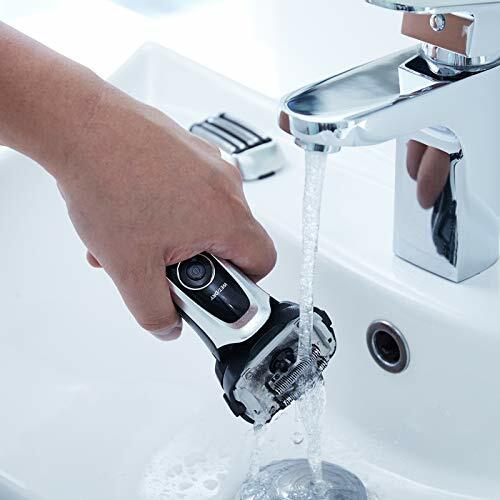 It is among the highest rated electric shavers in the market. The ES-LV65-S comes with a foil guard, cleaning brush, AC charging cord and blade oil. Equipped with winning technologies of its predecessor it definitely is a step ahead.